Create fun decors with Mandala. 1. Glue 2 sticks perpendicularly. Make 2 pairs. 2. Glue this 2 pairs together to create a snowflake-like pattern. Square Weave: Moving clockwise, wrap the stirrers going over the top, then to the back, and at the top again. Skip 1 stirrer and wrap. Continue doing this until you reach desired size. Web Weave: Same wrapping technique, but wrapping every stirrer. Star Weave: Same wrapping technique, but skipping 2 stirrers. 4. Continue weaving until you reach the ends. 5. Attach a thread at the end for hanging. Obsessed with Japanese culture? Use their thread braiding technique called Kumihimo to create intricately colored bracelets. Mix and match colors using DMC Article 117 Emboridery theads with over 400 colors to choose from. 1. Cut your threads at 2 yards each, with 2pcs per color and then fold. 2. Make a knot at the fold. Make sure you have 12 pcs of threads altogether. 4. Position your threads: Fix two pieces of Color A and Color B threads on the upper left and right side of the kumihimo disc. Then two pieces of Color C threads on the right and left side, and two pieces of Color A and Color B threads on the lower left and right side of the disc. 5. Start Braiding! – Starting with Color A (lower left set), unclip the left thread and clip to the left part of Color A’s upper set. Now you have 3 threads clipped. Unclip the rightmost thread of Color A, then put it beside the right part of Color A’s lower left set. Move on to Color B upper right set and do the same. Move on to Color C. Repeat this until you reach desired length of bracelet coming out underneath your braiding disc. 6. When you have the right length, release your threads from the disc and make a knot. 7. Snip off both ends. 9. Get your jumprings and clasp and attach to the ends. Liven up your casual OOTDs with this DIY thread wrapped necklace! Using DMC Light Effect Threads, customize your necklace by wrapping up the formed craft wires of your favorite word! Surely it will bring up some smiles and positive vibes all day! Brought to you by DMC Weekend Crafternoons. 1. Bend tip of craft wire before wrapping with thread. 2. Wrap craft wire with metallic thread long enough for the word “LOVE” – approximately 8 inches. 3. Put glue on the wire to help secure thread wrap. 4. When you have enough wrapped wire, cut and secure ends with glue. 6. Cut the excess wire and bend the tip of the last letter. 8. Attach your necklace chain. Dream only good dreams every night filtered through your personalized dreamcatcher! You can mix and match the dynamic colors of the DMC Embroidery threads to weave this piece of whimsical art. Grab your materials and learn how to create your own! 4. For the first round of web, thread your bead, go underneath the hoop, over the hoop, and insert your needle through the bead. 5. Do this 7 more times to get a total of 8 beads/points on the first round. 6. When doing the 2nd round, do the same procedure, but without the beads. 7. Make sure to position each weave at the center of the previous round. 9. Continue webbing until you reach the center. 10. Attach your beads to the center and secure. 12. Attach another thread at the top for hanging. Place your dreamcatcher by your bedside or on top of your headboard and always have a good sleep every night! Get your OOTDs ready with this elegant yet casual braided bracelet with DMC Threads! Just need your awesome choices of DMC Thread colors for your silver or gold chain bracelets, simple braiding and you're done! 1. Choose your 3 colors, cut them into 17” each. You need total of 12 strands. 2. Knot them all together at the top. 3. Tape them together with the chain bracelet at the top into a flat surface. 4. Divide the threads into 2 groups (6 strands per group). Group A and B. 5. Tape one end of each group to make it easier to loop through the chain. 6. To weave the chain, start by pulling B through the first link in the chain. Always thread from underneath the chain. 7. Pull B all the way through the first loop. Try to keep things as tight as possible as you weave it. 8. Put A over B. 9. Pull A through the second loop. Remember to always thread from underneath the chain, so that all your weaving will go in the same direction. Then braid B over A and repeat steps 5-8 until you reach the end of your chain. Try to keep your braid as tight as possible. 10. When you reach the end of the chain, tie another tight knot at the top with all of your embroidery strands. For a more finished look, you can cut the extra thread off of the knots. Learn how create your own Feather Earrings using DMC threads! Watch this easy tutorial and get started on your wonderful DIY earrings to complete your OOTDs! Add another arm candy with this Tassel Bangle. Give your plant a new look with this macrame plant hanging. Add color to your summer by wearing this Ruby Tassel Earring. Step 1: Draw the calligraphy design on the paper. Using a pencil and ruler, mark the design with equally-spaced apart dots to serve as your guide in placing the nails. 1cm apart is ideal. Step 2: Place the design on top of the wood (make sure it is at the center) using any tape. Step 3: Use a pen drill (if available) to help you make small holes on your dotted marks. 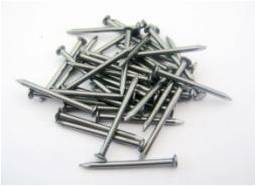 If a drill is not available, you may use a hammer and a nail to slightly punch each dot first to be your guide in putting the nails after. Step 4: After completing the marking, slowly remove the paper. Step 5: Start hammering (1/2 or 1/3 of the nail should be buried, adjust depending on wood thickness) the nails on the dots one by one. Use a pair of pliers to help you put the nails in place while hammering. Leave enough space on top of the nails for stringing. Step 6-8: Tie one end of the Natura ball to a nail using a square knot. When tying, remember to leave at least an inch in one end as you will be ending your stringing at the same nail. Step 9: Work your way through the nails, with just the first letter. Wrap the string tightly around each nail. Step 10 and 11: Once the string has passed through all the nails twice or more, you can now go back to the first nail and make a square knot twice, together with the remaining end of the thread. Cut the excess thread after. Then repeat steps F to K for the remaining letters of the travel calligraphy string art. One Natura ball for each letter to create a rainbow colored letters effect. 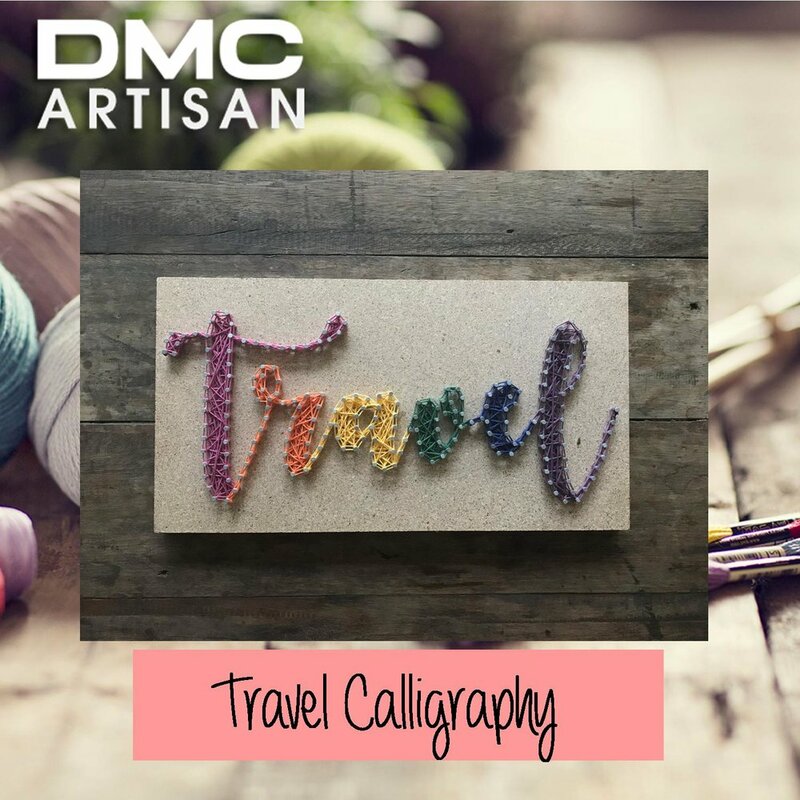 Step 12: Your travel calligraphy string art is now complete! Follow this easy tutorial by our DMC Artisan, Mela Abesamis and string your stress away. How to make Dreamcatcher using DMC threads. Mandalas are also known as the eyes of God in Latin America. These colorful pieces are known as a symbol of blessing and good fortune. When giving it as a gift, mandalas are said to bring more blessing to the giver. When received as a gift, they are suppose to be hung in entrances, living rooms, class rooms and work areas of a home, office, or school. Karla is based in Cebu. She used to be a teacher. She is now a copy writer for Life At Caresharing. She also owns Damgo, which in Bisaya means dream, an online store where she sells her dreamcatchers. She’s a mother to 2 adorable kids – Isla and Kanta. Dream catchers have been around for a long time. It is said that the dream catchers trap bad dreams in it's web and let only the good dreams go through them. They were originally hung above cradles and beds of sleeping children. Learning how to create your own dream catcher is easy! Happy stitching and sweet dreams! Marielle is the founder of CraftMNL, a community of artisans, crafters, designers and creative entrepreneurs who learn, create, share and celebrate the work of their hands. In their studio in Makati crafters get together to share skills, tips, craft leads and challenges with artisans, to learn from each other, and to collectively discover more about craft, including Philippine traditional craft, its methods, and about local materials. Marielle also owns Yellow Bug Love, an online store where she sells hand crafted wedding decors. String art is easy and a sure stress-buster. These projects can be as small as a little coaster or a wall in your house. This is sure to be a conversation starter. A handmade home decor or gift will surely brighten up a room. So start nailing and happy crafting! 1. Begin by drawing your design or printing it out. Place your design on your wooden panel then start hammering around the outlines. 2. 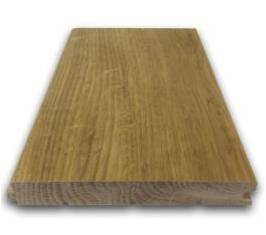 Peel the paper off the wood, to leave the nailed outline. 3. Get the thread you want to use and tie the end of it on one of the nail. TIP: Make sure you always double knot. Also, leave at least a 2-inch tail after the knot, don't cut it all the way through. 4. Weave your thread around the nails. When you finish, double knot the end of your thread to another nail. Weave your tail ends through, if you want a seamless finish. TIP: Don't jut hook your thread over the nails, twist it!